Sharing the 10 most popular free printable posts on burlap+blue! 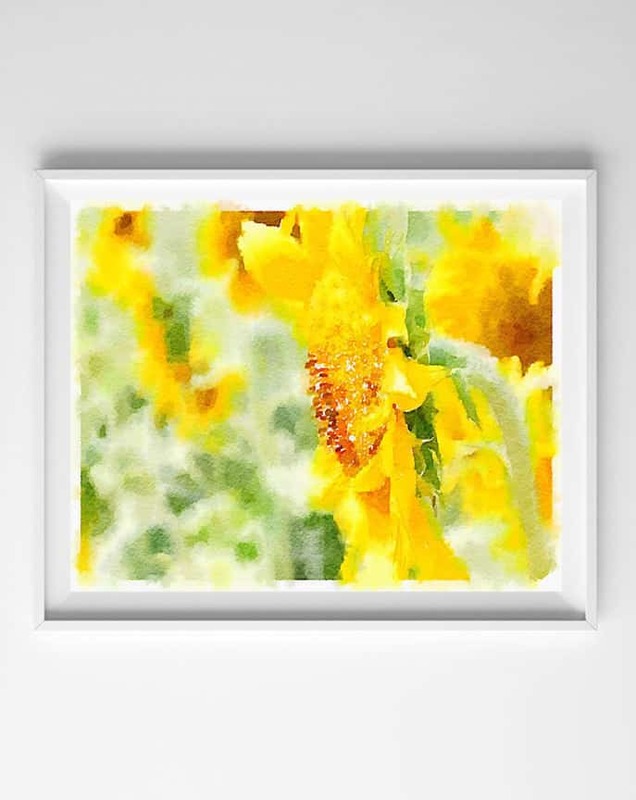 Looking for inexpensive wall art? This post is a great place to start if you’re short on time. These printables are tried and true fan favorites! We have shared hundreds of free printable posts throughout the almost ten years this blog has been in existence. Have half an hour? You can peruse all our free printables here. We share printables for nurseries, kitchens, living rooms, gallery walls and so much more! If you are interested, though, in seeing the very favorite printables of burlap+blue readers, then this post is a great place to start! 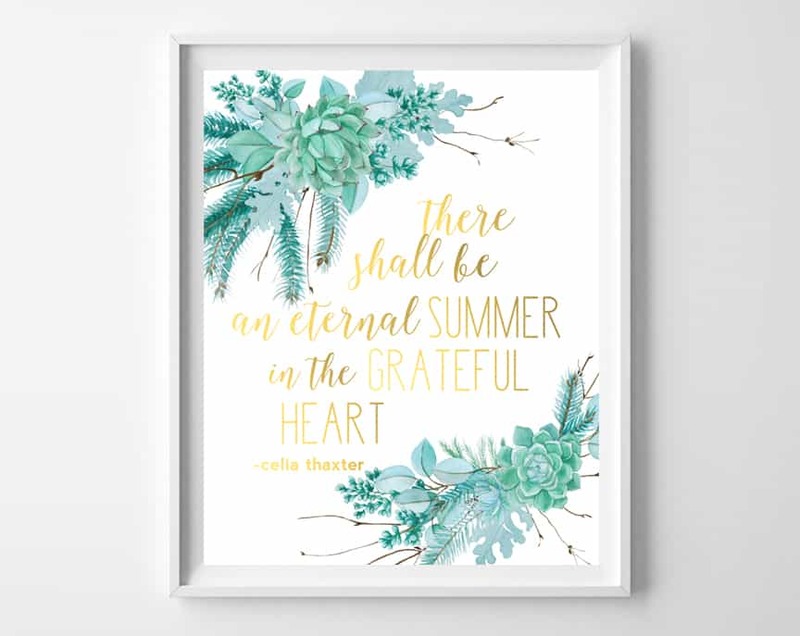 Free printables are a great way to get inexpensive wall art to decorate your home. After browsing through these printable favorites, be sure to check out this post that shares all I’ve learned through the years about how to print out and frame your printables! So here they are! The 10 favorite free printable posts that readers have downloaded and pinned again and again! 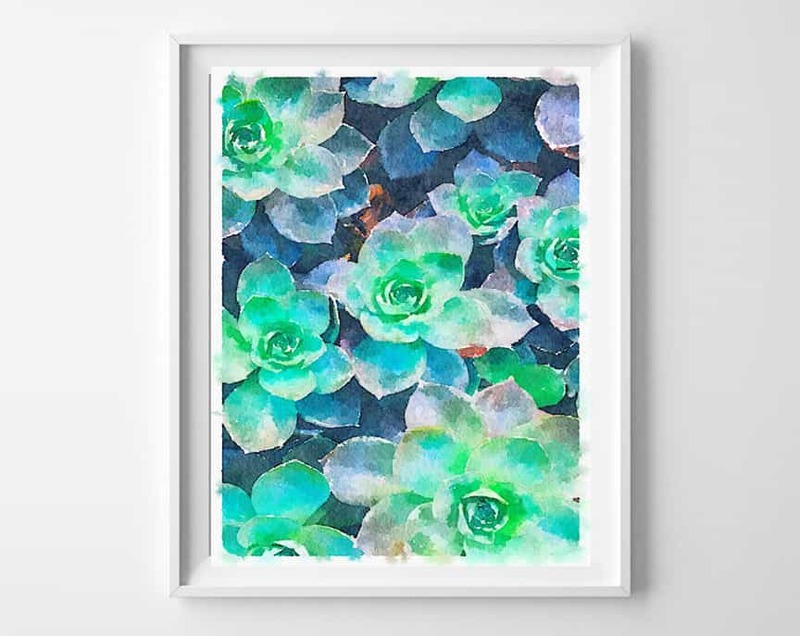 #10: These succulent arrangements printables are the #10 most popular printable post on our blog. I love them for summer decor, but they really work all year round! 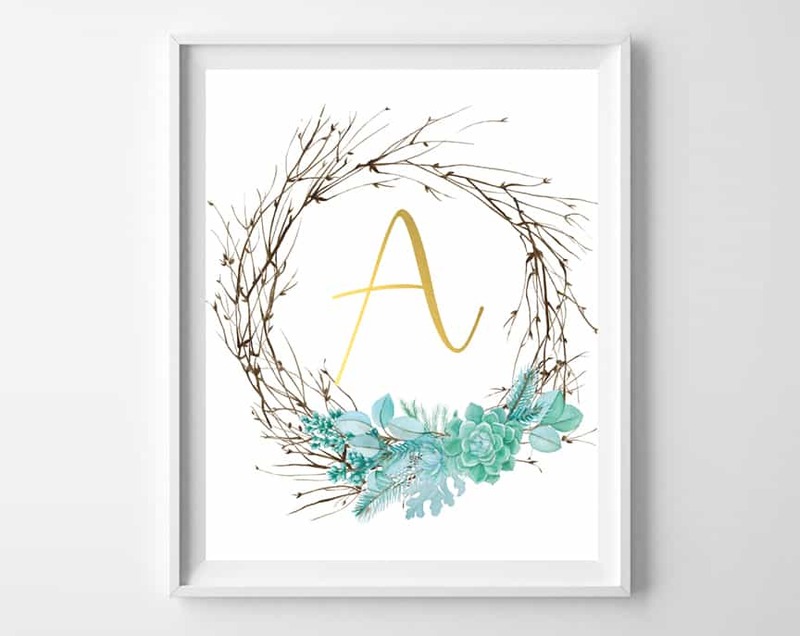 Pair with this twig wreath printable for a fun gallery wall or gift idea! #9: These floral nursery printables are slightly shabby, slightly chic, and all the way adorable. 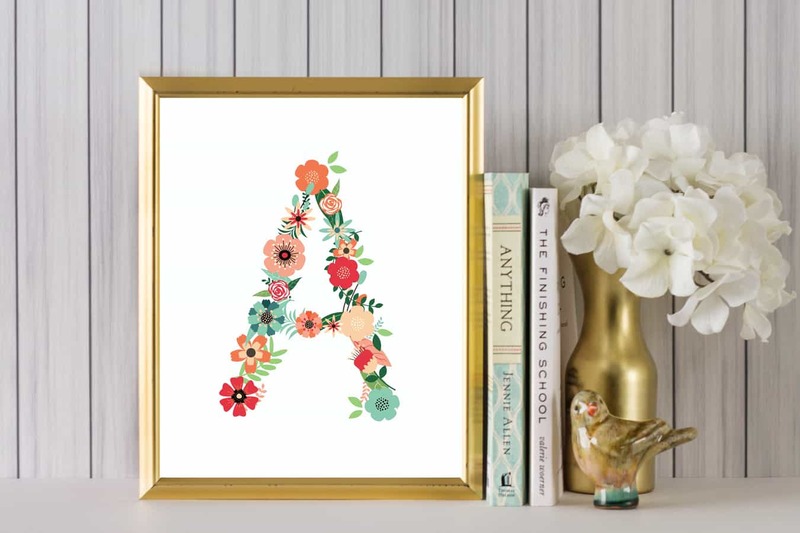 Frame for a nursery, or give as a baby gift! I love the bold, distressed initial! #8: These watercolor printables are surprisingly popular! Readers use them for kitchen art, and they make a fun pop of color in gallery walls. 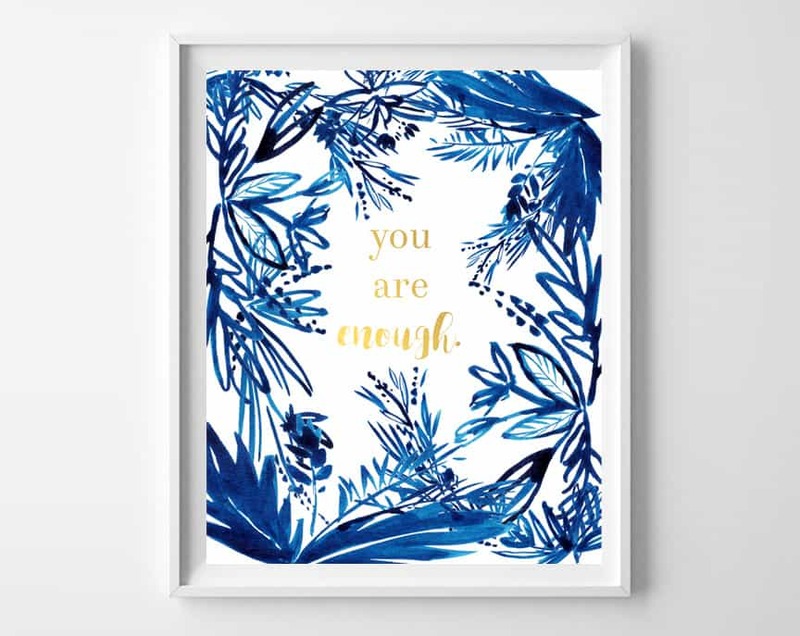 #7: I went through an indigo and gold wall art phase where I created several printables in that color scheme, and I love how well they were received! This post, along with the following post, was viewed 33K times in the last 28 days, so obviously this combo is one you all love, too! These initial printables also make great gifts. 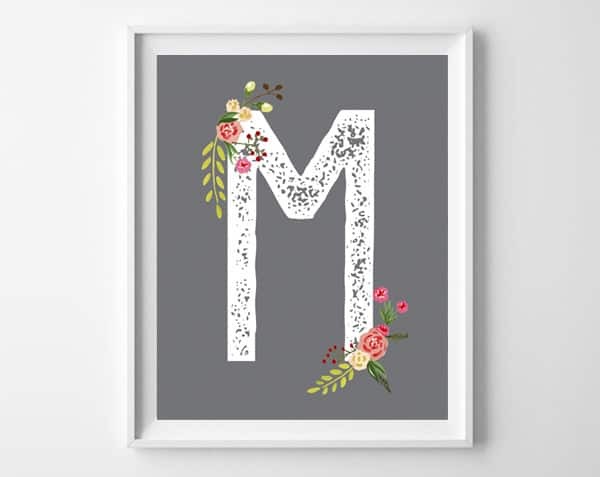 You can see all of our name art printables on our blog! 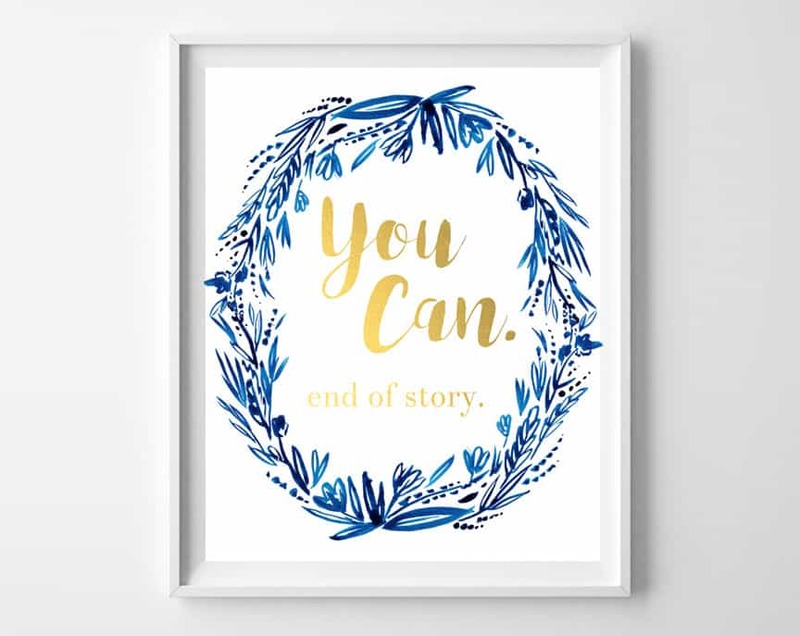 #6: These inspirational quote art printables are perfect for craft rooms, offices, or to give as gifts! 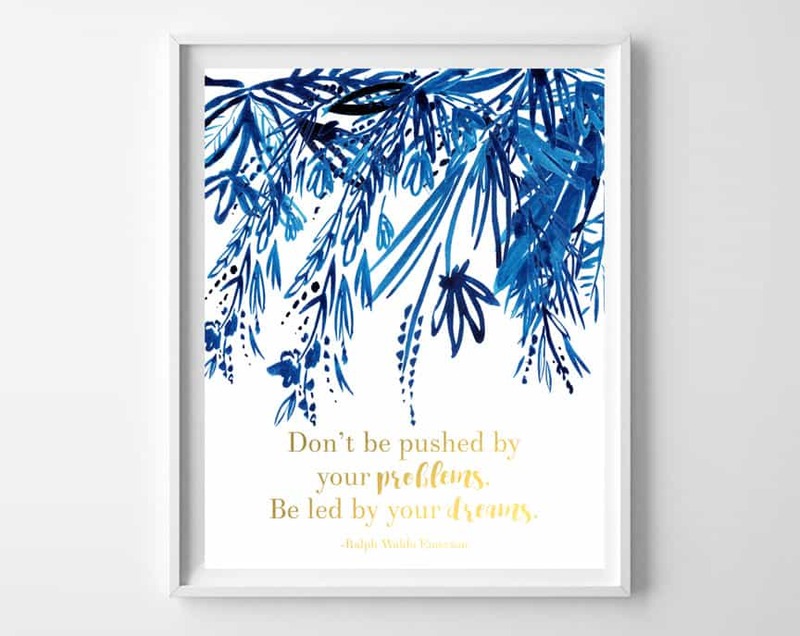 I adore the indigo watercolors paired with gold foil quotes. 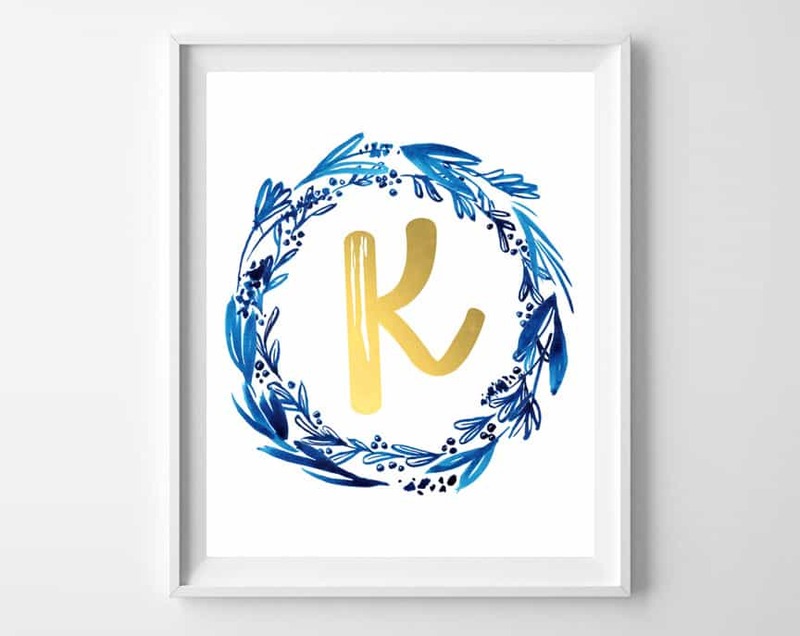 Print and frame all three (and add in one of the initials above!) for an instant gallery wall! #5: The funny thing is, I never really know which printable wall art posts are going to do well. 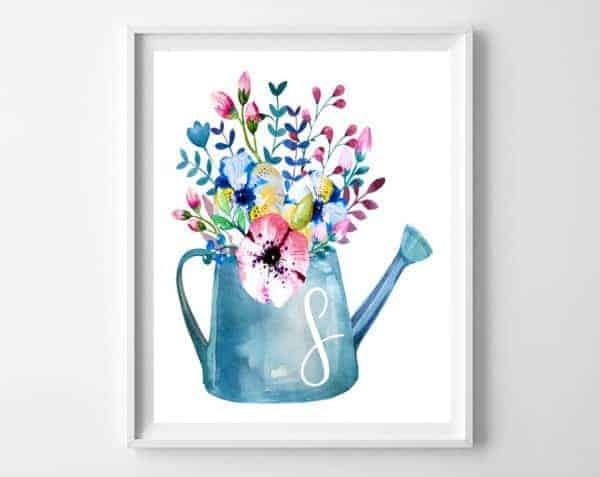 It was kind of a surprise how well these spring watercolor printables were received. 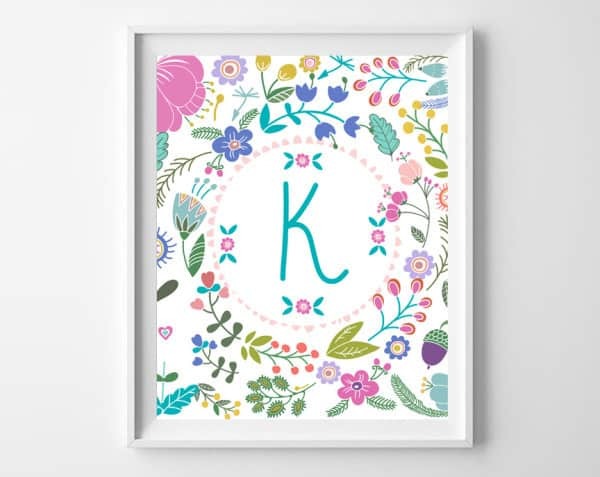 If I had to guess, though, it has something to do with the combination of soft watercolors, pretty font, and sweet reminder of spring! #4: These sweet and whimsical nursery printables are perfect for the little girl in your life! They’ve been viewed 20K times in the last month, making it a definite reader favorite! #3- Looking to decorate a nursery? Or in need of a baby gift or baby shower decor? 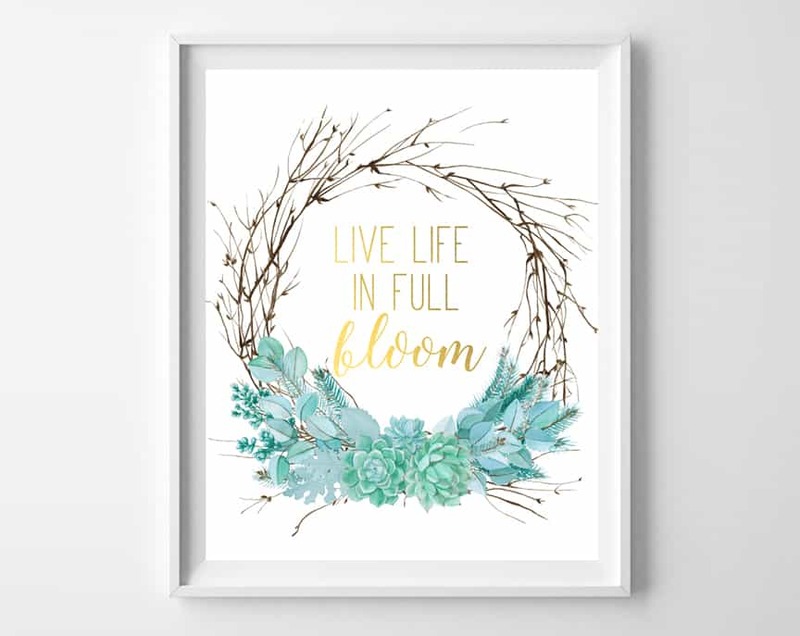 These floral art printables may be just what you’re looking for. I created these out of individual flower elements, and they were a bestseller in my Etsy shop for years! #2: The cool thing about printables is that they also make great gifts. Looking for ideas for long distance gifts? 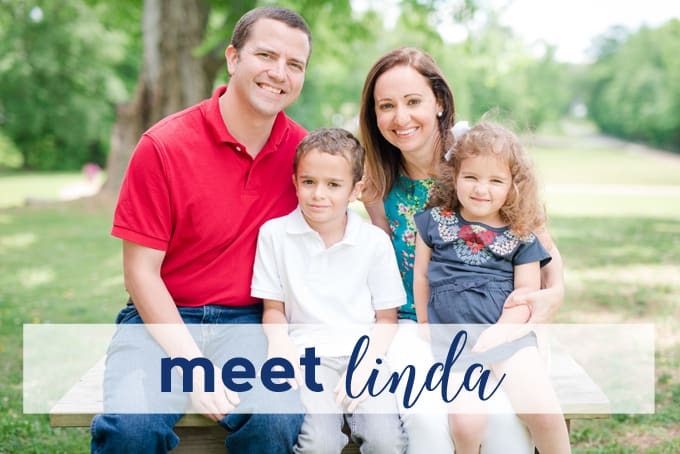 This free state printable is an inexpensive and personalized choice. 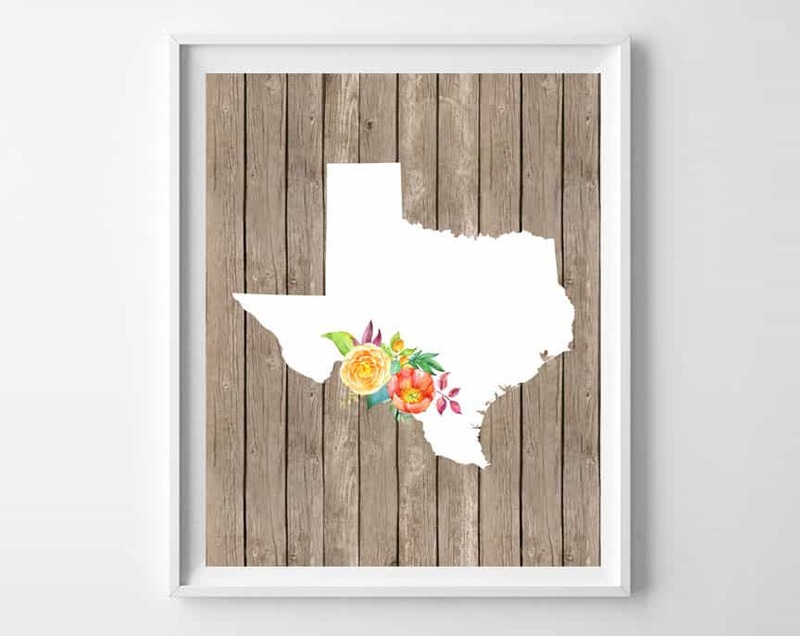 It comes in all 50 states and features a rustic, weathered wood background and sweet floral accent. 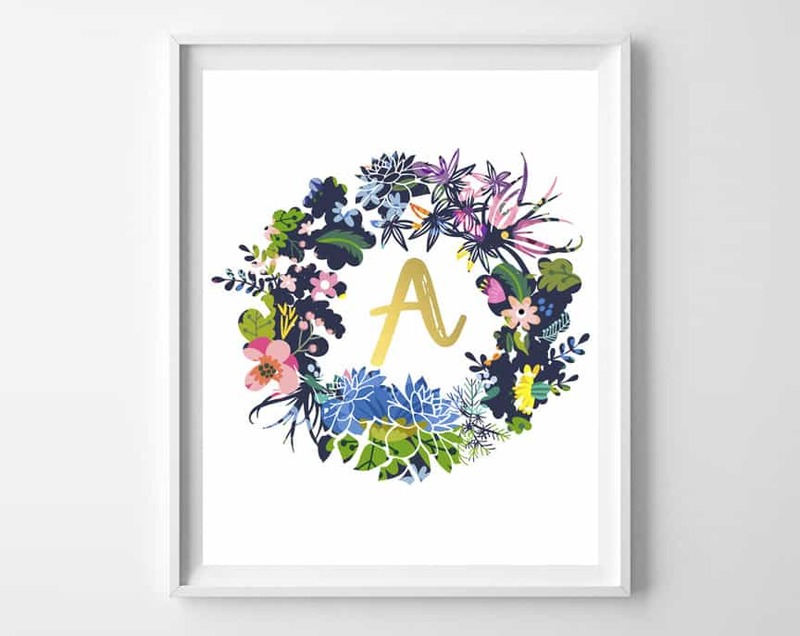 #1: This floral wreath name art printable is the top free printable on our site. It’s been viewed 44K times in the last 28 days alone (WOW). Ironically, it’s was also one of my very first initial printable posts! So what do you think? Is your favorite burlap+blue printable on this list? If you share images of our free printables, be sure to tag us on social media so we can share with our readers! Thanks for reading all about our Wall Art On the Cheap! 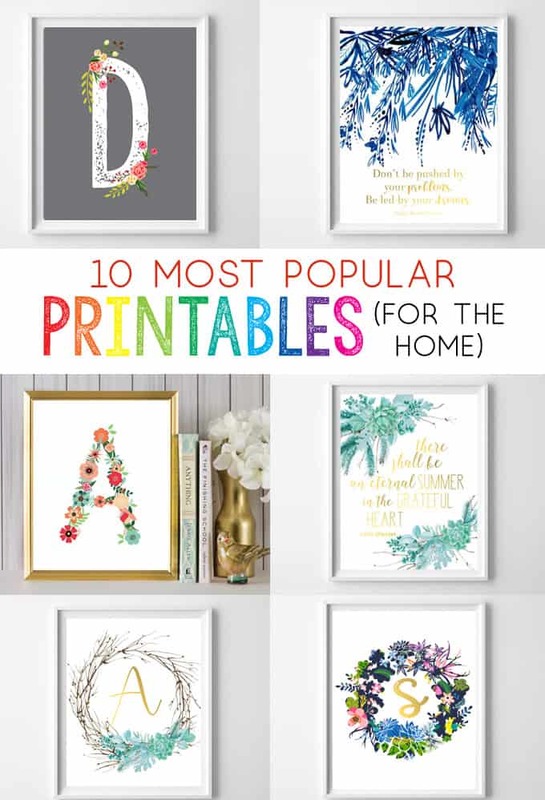 Top 10 Most Popular Free Printables for the Home. Have a lovely day!